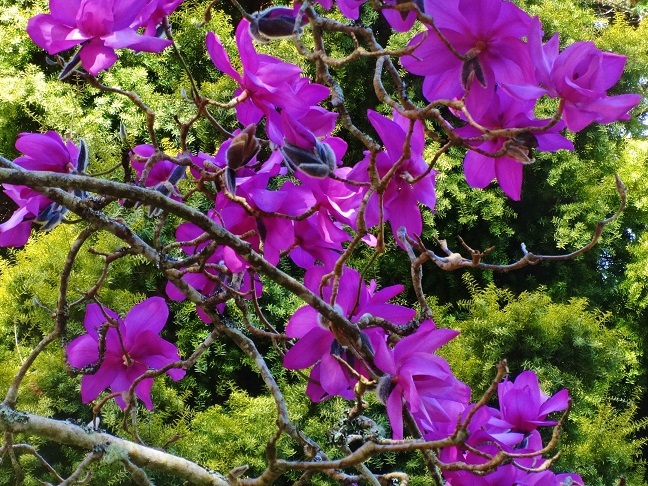 One of the finest places to see rhododendrons, magnolias, camellias. Castle open. A great visit. Caerhays Castle and gardens near Truro, are located in a sheltered valley overlooking Porthluney Cove on the South Cornish Coast. You park on the edge of the cove which looks over the Atlantic Ocean. 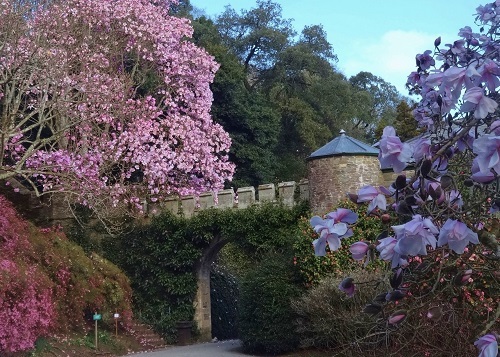 The 100 acre garden at Caerhays contains a combination of both spectacular spring displays of enormous tree magnolias, rhododendrons and camellias as well as a huge range of rare woodland trees and shrubs originating primarily from China. It therefore has plenty to offer the more enthusiastic gardeners as well as those who simply want to admire and appreciate the unique spectacle. 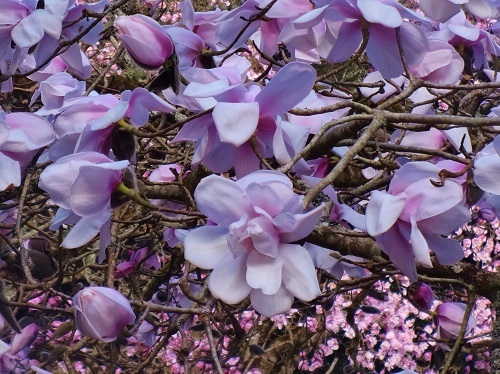 A must for lovers of magnolias and rhododendrons. 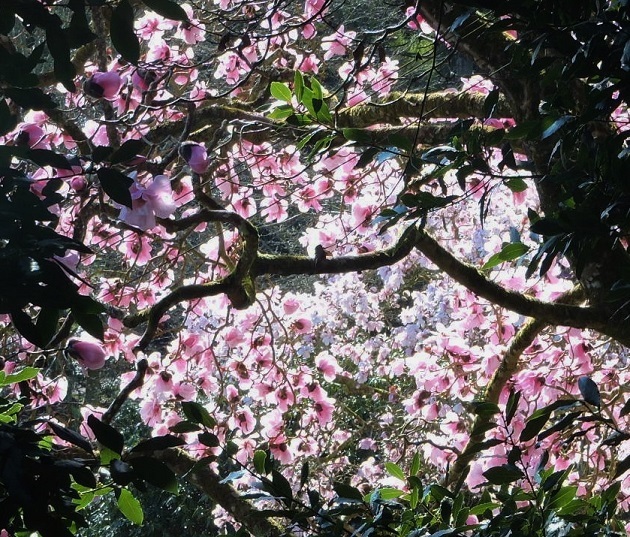 Editor's note - This is one of my favourite Cornish Gardens with some of the best magnolias you are likely to find anywhere. There are many paths with plenty of viewpoints. The castle is also open. Probably best from end of March to mid May, but could be earlier depending on previous weather. Normally from early February to May. The Castle will be open for guided tours normally from March to May. Tearoom, dogs on leads, limited disabled access. If you wantplaces to stay near Caerhays Castle near St Austell, why not stay in one of our recommended hotels. Each hotel has genuine guest reviews enabling you to book from anywhere in the world in total confidence. 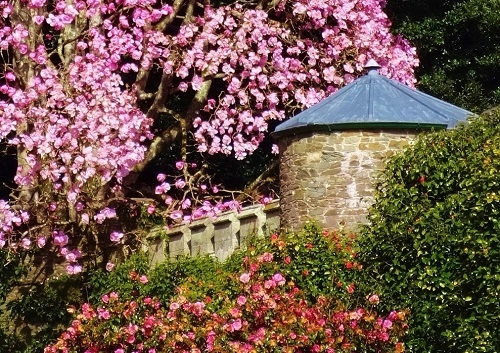 Look now for hotels near Caerhays Castle Gardens - click here.